A couple days ago I shared one of John’s sketches — of the redwing boot pumpkin. 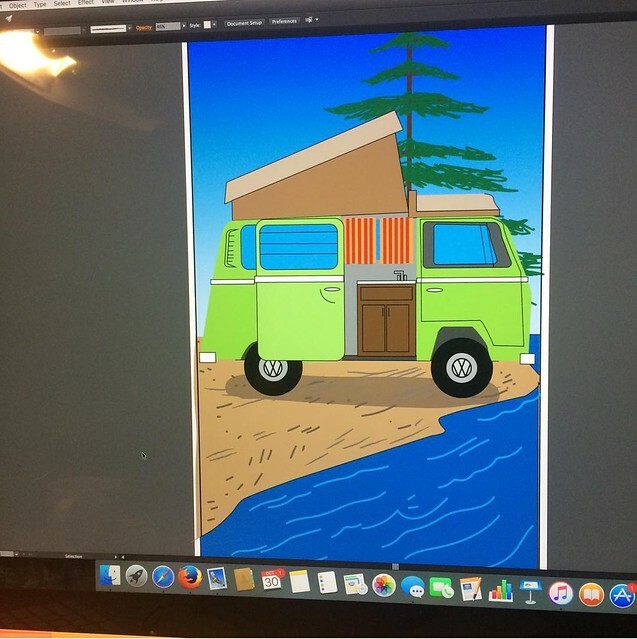 Here’s a different artistic avenue he’s been pursuing using computer software Adobe Illustrator. 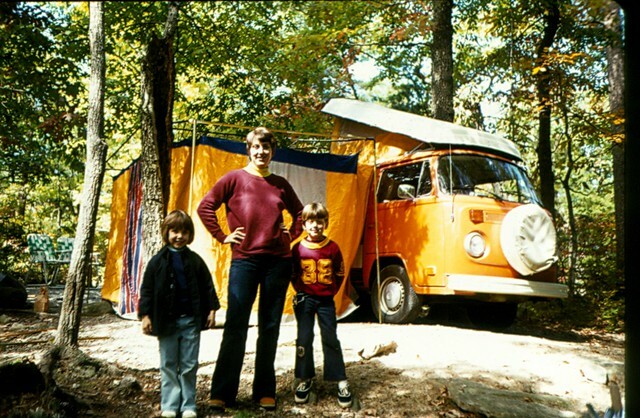 Of course his picture sent me whirling back in time to the mid 1970s when the Carlson family was in its camping stage. We lived in North Carolina and had many places of beauty in which to set up our home away from home.